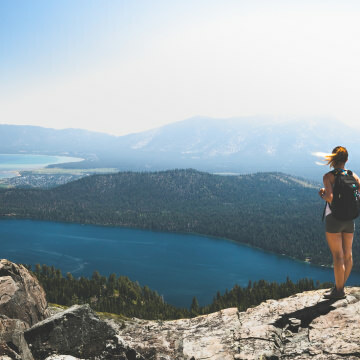 Ellis Peak is a visually stunning hike on the West shore of Lake Tahoe that offers abundant wildflowers, wide vistas, and exhilarating views of Lake Tahoe. Just South of Lake Tahoe, Dardanelles Lake is a hidden gem. This forested lake offers a moderate day hike with awesome swimming as the reward. The Echo Lakes trailhead near South Lake Tahoe offers hiking, backpacking, camping, and sightseeing for visitors of all abilities. The Eagle Lake hike from the Eagle Falls trailhead offers dramatic views of iconic Emerald Bay, Eagle Falls, and Desolation Wilderness. From laundry to doctor’s visits to sharing gear, here’s an inside look into what happens on an off day for a PCT hiker. Packing for life on the road walks a delicate balance between stripped-down minimalism and saving room for key creature comforts. Here are some tips from one couple who's lived out of their car for 6 months. Waterhouse and Powderhouse Peak are classic Tahoe backcountry skiing and snowboarding destinations just south of Lake Tahoe. 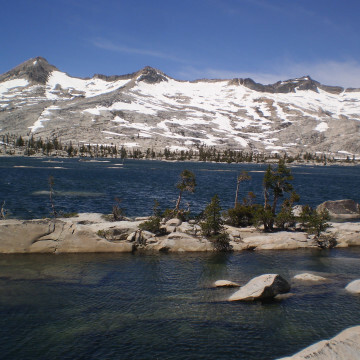 Echo Lakes and Desolation Wilderness are one of the most scenic hiking destinations in Lake Tahoe, and offer hikes experienced hikers, novices, and families. Located 12 miles East of South Lake Tahoe, Spooner Lake is a family friendly hiking and picnicking area in the Lake Tahoe Nevada State Park. West of Lake Tahoe, Desolation Wilderness is one of the most scenic hiking and backpacking destinations on the Tahoe Rim Trail. The Lake Aloha region southwest of Lake Tahoe is one of the most popular overnight destinations in 63,000 acre Desolation Wilderness. Mount Rose is the second highest peak in the Lake Tahoe basin. This tough but rewarding hike is one of the most scenic in the region. The 165-mile Tahoe Rim Trail is arguably one of the most scenic long distance hikes in the country. 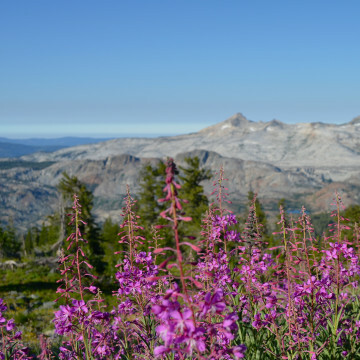 Spring in the Sierra means landscapes awash in the brilliant color of spring blooms. Here, a guide to the best Lake Tahoe wildflower hikes. 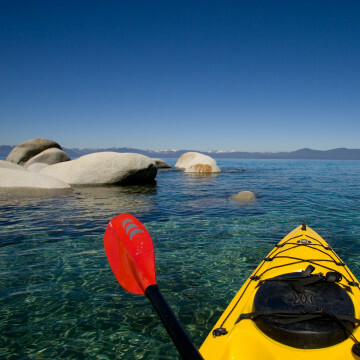 From where to pitch a tent to how to break up your trip, these insider tips will help you kayak Lake Tahoe and its 75-mile shoreline. Ready to plan your own alpine lake adventure? 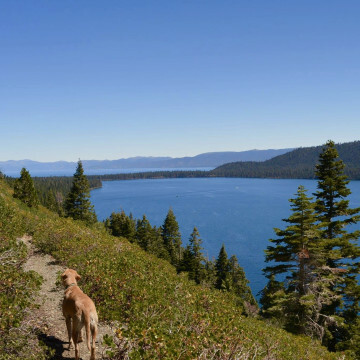 Check out these insider tips on how to hike the Tahoe Rim Trail. A burgeoning food and drink scene in South Lake Tahoe means great new options to raise a pint post-hike, run, or ride. Where's where to go. Adventure around the alpine lake doesn't have to end when the sun goes down. 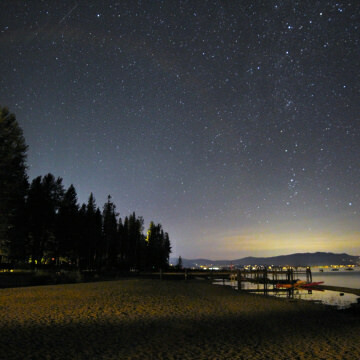 Here, the best spots for stargazing in Lake Tahoe. 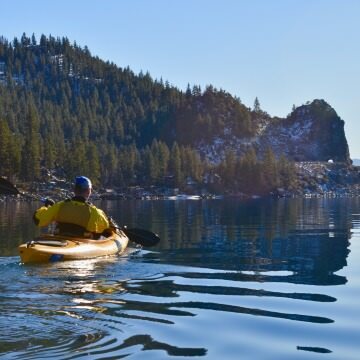 Spring in Lake Tahoe means that ski season is winding down, but plenty of other adventures are heating up. Here's how to make the most of it. 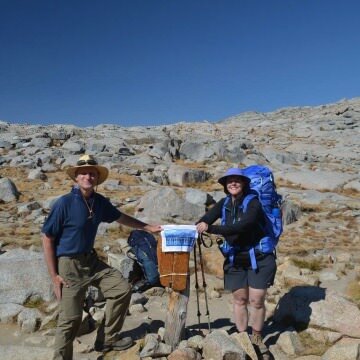 The alpine lake is great, but Lake Tahoe peak bagging is popular among adventurers, too. Here, 4 must-summit mountains. Mountain bike these Tahoe trails for a perfect end to the season. Mt. 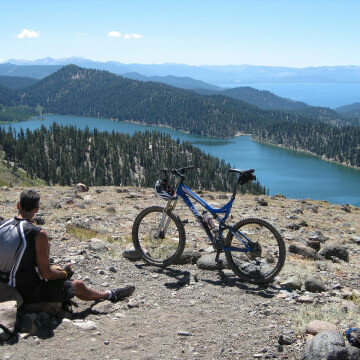 Tallac is one of the most popular and rewarding summits in the Tahoe region, and features breathtaking panoramic views. Freel Peak is the tallest summit in the Lake Tahoe basin. 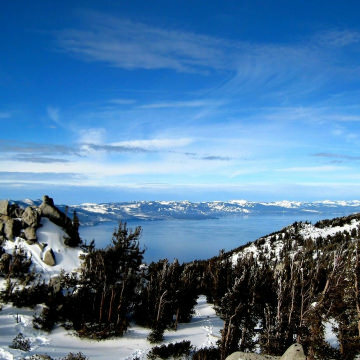 This day hike offers incredible panoramic views of Lake Tahoe for expert hikers.